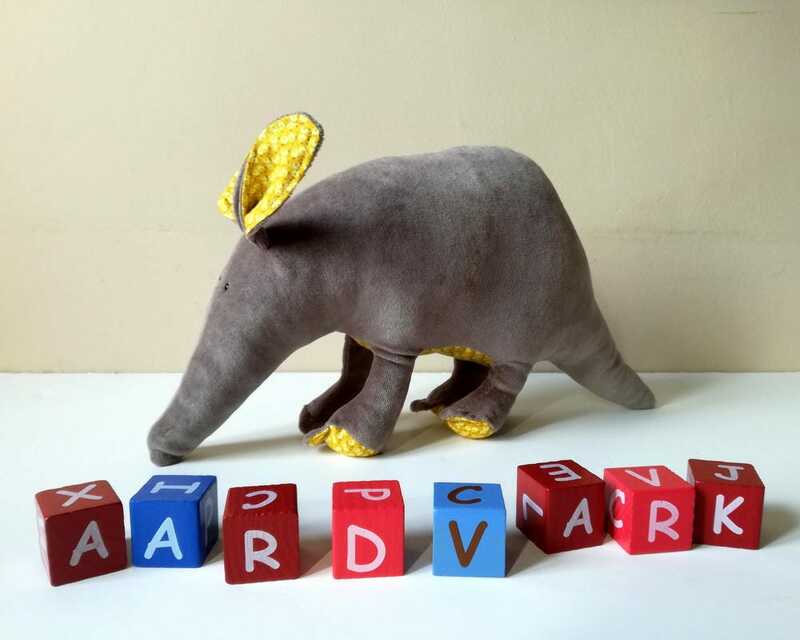 The aardvark gets its name from a South African word meaning “earth pig”. 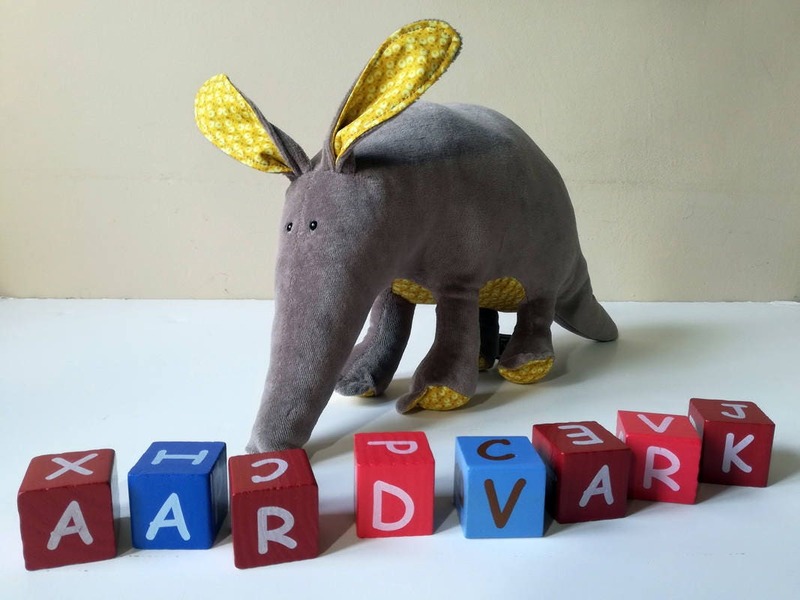 Although the aardvark looks like a pig, especially with its body and snout, aardvarks actually share common ancestors with elephants and golden moles. Aardvarks live throughout much of sub-Saharan Africa. Each night, they are able to dig up termite mounds and ant nests and slurp up and swallow tens of thousands of insects. 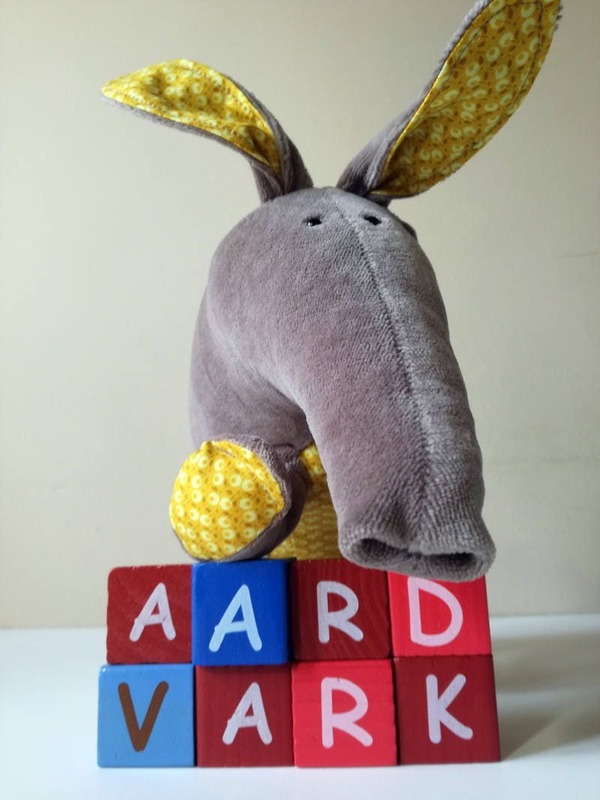 My Aardvark is a perfect guard for children's dreams. He is most active at night. During the day, he sleeps curled up in a ball in his burrow. 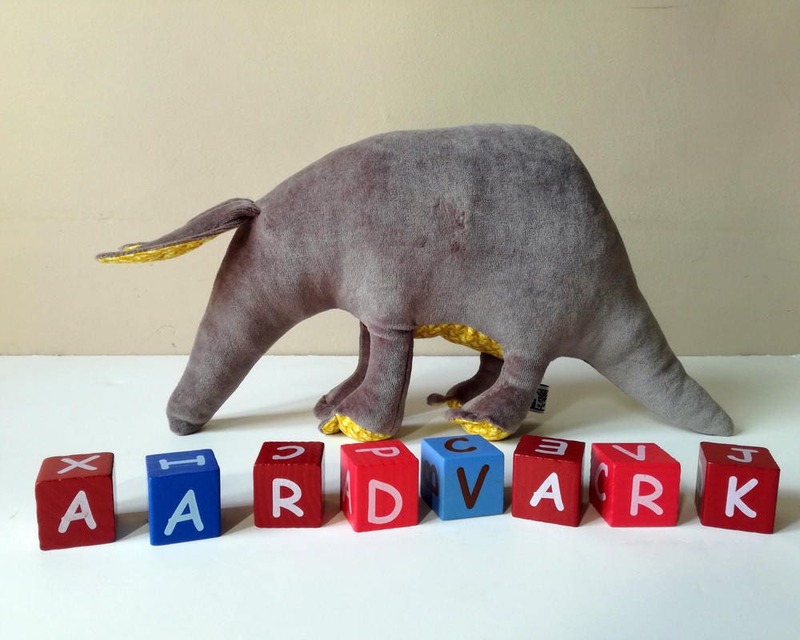 As night falls, aardvark will emerge cautiously from his den and guard his home. He is always silent therefore never will wake up his owner. 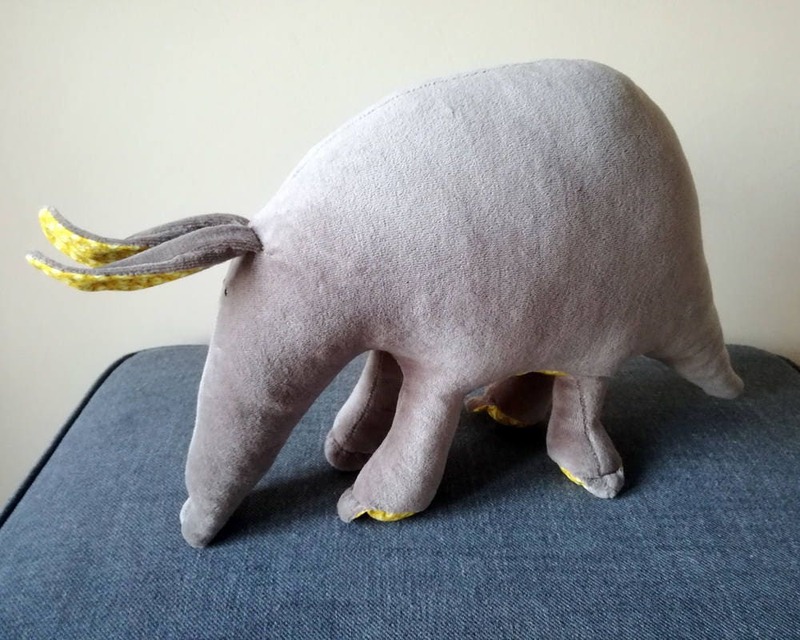 My Aardvark is soft and cuddly. 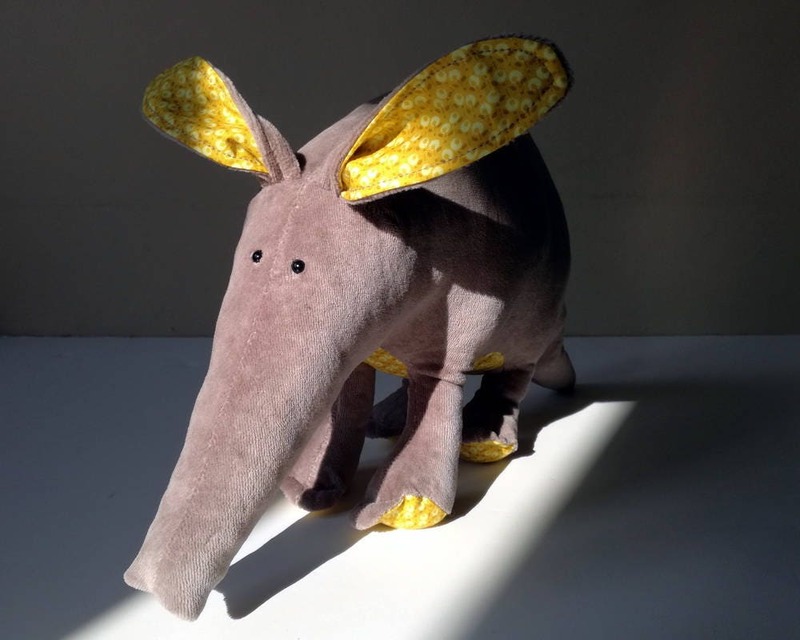 He is made of taupe baby plush (Oeko Tex 100 certified material) and stuffed with high quality siliconized polyfill. Belly and inner ears are made of canvas. He has safety eyes, baby safe item. 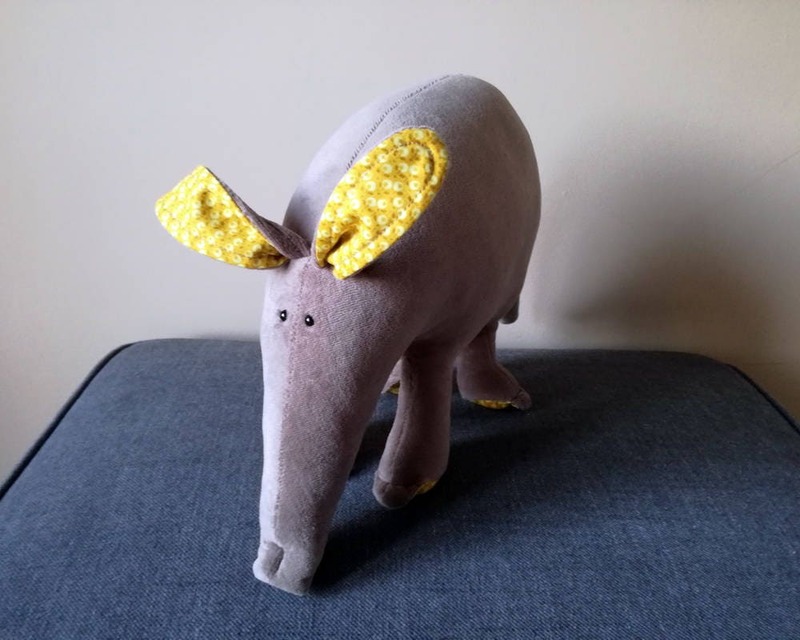 My aardvark is machine washable on low temperature using a mild detergent. Can by tumble dried. 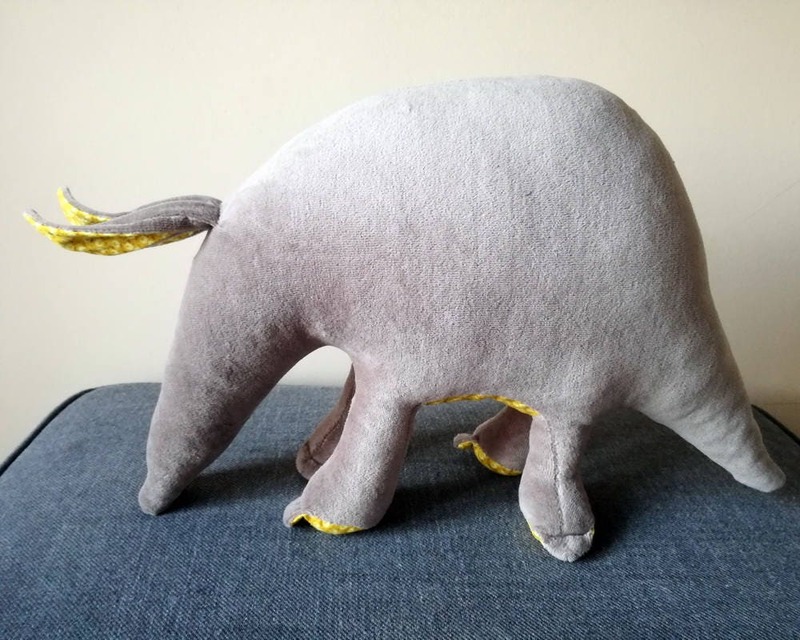 He is 17" (42 cm) long from the tip of the nose to the end of the tail and 9" high. So cute. Very soft. Nice colors. Perfect.